As mentioned in a recent blog post, HasOffers had the opportunity to sponsor Affiliate Summit West early last week, and I managed to sit in on Brett Kaufman‘s session “Mobile Display: How to Make Money off of Such a Tiny Screen.” As the VP of Mobile at DoublePositive, Brett works with developers and publishers to monetize their mobile traffic, and I wanted to see what tips and tricks I could gain from his 7+ years of experience in the industry. 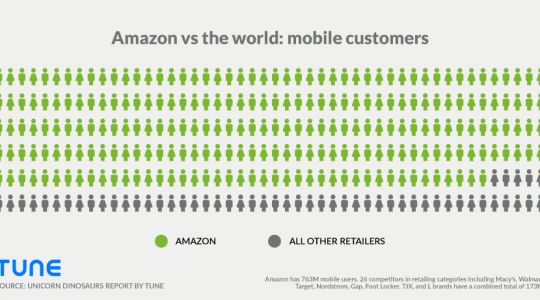 So, why mobile? Advertisers are honing in on mobile at blinding speed, and with over 200 million active smartphones in the U.S. alone, there’s no question as to why. In 2012, mobile made up for 15% of total internet traffic. 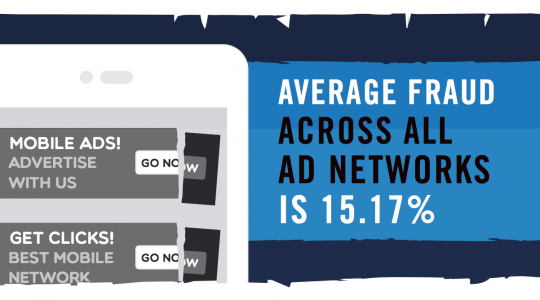 By Q1 of 2014, this rate is expected to increase to 25% with $14 billion in ad spending (up from $8 billion in 2013). Understanding the strengths / weakness of the players in the ecosystem can mean the difference between a campaign win or a campaign flop. Don’t confuse the RTBs with the DSPs or the SSPs when choosing whom to work with. Expandable banners are 25% more memorable than static banners. Given the prevalence of rich media in today’s industry, viewers are less likely to spend time on static content than in previous years. Is the creative ideal for all operating systems and all screen sizes? If not, rework it or be aware of where your users are viewing it. When creating banner copy, don’t forget the actionable items! Without an action item, the visitor is left hanging after the click through. “Visit the landing page to learn more.” “Go to YouTube to watch the video.” “Visit the App Store to download the app.” Determine your end goal. Optimization is key. When working via a partner, understand how the partner optimizes your campaigns. When is the max query per second? What are the options for setting goal optimization targets? Does the partner understand campaign management and the specific goals you want to reach? Does the DSP have inbuilt brand safety functions? If your mobile display campaign requires geotargeting, make sure you’re working with a partner that can geo target accurately. Be specific. Ask specific questions. Smart targeting options make for fewer wasted impressions. Desktop campaigns should not be used on mobile – and vice versa – unless you understand the separate campaign performance. If both are successful, there might be an opportunity to mold the two. When it comes to monetizing mobile display, these tips should help get you started. Always make sure you’re working with a partner best suited to your goals, and be sure to review goals regularly.